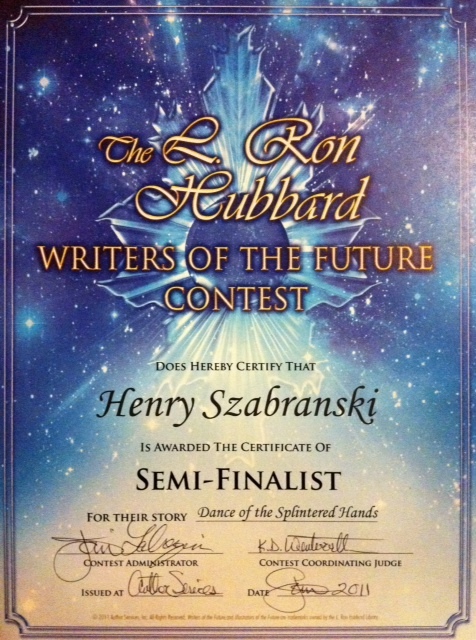 After receiving my snazzy WotF Honorable Mention certificate last month, I decided to be cheeky and ask for a 2010 Q4 Semi-Finalist certificate retrospectively (I received a critique from K. D. Wentworth at the time, but no certificate). The contest co-ordinator Joni Labacqui happily obliged (thanks, Joni!) and I received it in the post today, which was just what I needed because I also received two rejections as well — the perfect antidote! The other exciting news is that “Amy’s First” is due to be sent out to Daily Science Fiction subscribers as an e-mail story tomorrow morning. (It’s not too late to subscribe — it’s free, and you’ll receive bite-size speculative fiction stories in your inbox four days aweek, with longer stories sent on Friday, just right for the weekend.) A week from now, the story will go live on the DSF website. 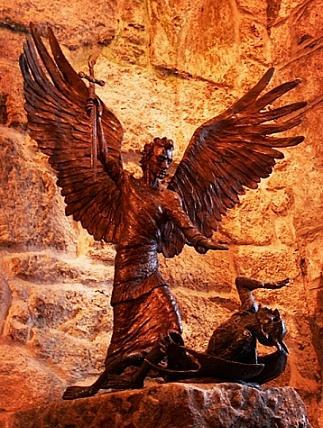 In honour of the story’s appearance (which features an angel, of sorts) here are a couple of angels I’ve encountered during my travels. 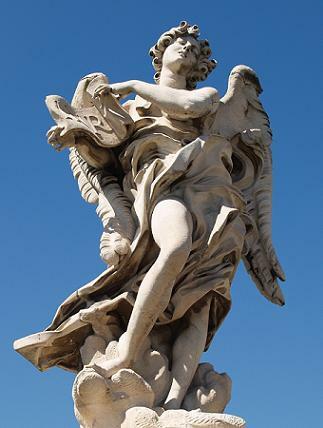 First up is the “Angel with the Superscription”, one of the angels which line Rome’s Pont Sant’Angelo. The original was by Bernini, but this copy is by Giulio Cartari. Under the noon Rome sun, with a crisp blue sky backdrop, these sculptures are truly sublime — and highly photogenic.